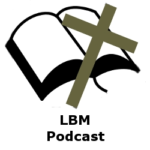 LBM Podcast 0025 – Do atheists lack a belief in God? Is the atheist making a coherent claim when he says that he has a lack of belief in a god? Today Jason goes into this question and examines it to see if there is any justification to the claim. Jason also goes into the meanings of the terms “atheist” and “agnostic”. We examine if atheists consistently use these terms. Jason examines what Scripture says about whether people know that God exists and what the Bible says about the faith a Christian has. In this episode Jason finishes up the topic last week on postmodernism and its impact on the Church. Jason then goes into the topic of how unbelievers borrow from the Christian world view. Unbelievers will by necessity have to borrow meaning, purpose, objective morality, uniformity, rationality, human value and dignity, universal laws, objective truth and consciousness from Christianity even though they deny the truthfulness of Christianity. In this episode Jason goes over the Transcendental Argument for God (TAG) from within the Presuppositional Apologetic. TAG is a specific argument to address atheism. We go over multiple formulations of TAG. At then end a small portion of a debate between William Lane Craig vs Lawrence Krauss is reviewed to demonstrate the differences between evidential and presuppositional apologetics. In this podcast we complete our discussion and review the Bahnsen vs. Stein debate. In this podcast we discuss and review the Bahnsen vs. Stein debate. In this podcast we discuss presuppositional apologetics. This is in preparation before we review the Bahnsen vs. Stein debate.